VIET ACCÉNT: Thái Nguyễn Couture a Copycat? 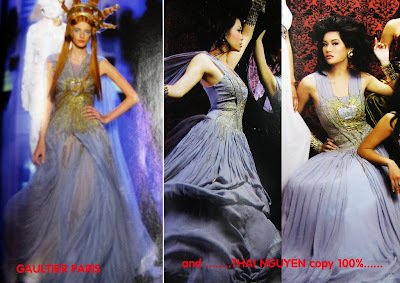 Thái Nguyễn Couture a Copycat? Designer Thái Nguyễn, known for his work on Thúy Nga Paris By Night and Asia Entertainment. But is his creativity talent, perhaps even a mere coincident, or did get his inspiration elsewhere? It seems that it is not the first time the young designer copied from Gaultier Paris or any other famous designers. If such is the case, it is a sad thing for Vietnamese community in the U.S. and also for him as well. You'd be surprise as to how many Asian copy from other. I see some Viet bloggers outright rip off from other bloggers and claim it as their own. It's a shame and reflects badly for Vietnamese. although the two dresses do look very alike and he probably did copy somewhat, they're not identical. the paris dress has a brownish underlining and is more sheer, whereas the thai nguyen dress is satin and is blue underneath. actually the paris dress has a lot of brown in it, like the streak of brown going through the heart, whereas thai nguyen doesn't have any brown on his dress. it's just a matter of color and material, i guess. still sorta sad. man, vietnamese designers like him are too good to be true. scandalous! thanks for the link. i havent seen it. most of the time i dont watch the fashion show on pbn or any other productions, not interested. Hi are you INSIDER from the Thuy Nga forums? 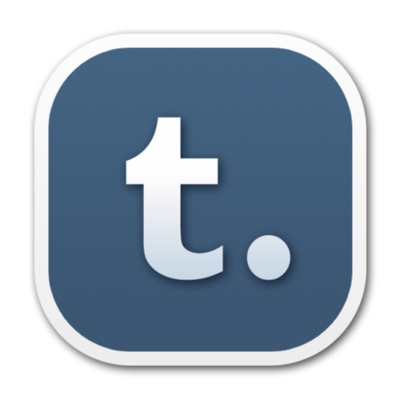 Are you asking about the author of this blog? No, I'm not INSIDER from Thuy Nga forum. NO he DID NOT copy the dress. he bought it and removed the tag. He should have an interview on ASIA to clear his name! Or better yet tell the truth he copied it. Why don't we just report his copied design to the original designer. Perhaps they will sue him out of his business. Be more original and give credit where it is due. Life is dull copying some else's work. knock off, "inspired by" lol He pretty much took that dress, changed it a bit, add some color and fabric. But come on, even the main colors are identical, so are the shoulder straps, waist, etc.